Plus, new screenshots of Cain Highwind, Ramza, and Ace. 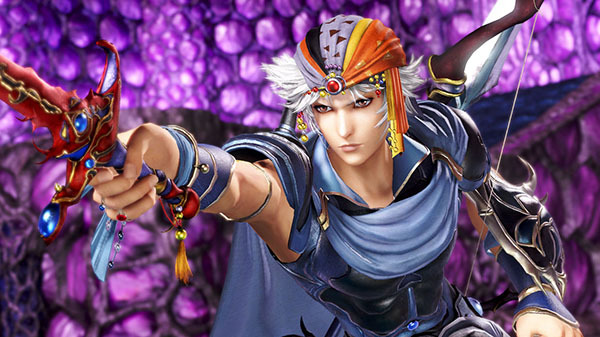 Square Enix has released a new set of character trailers for Dissidia Final Fantasy NT introducing Final Fantasy I‘s Warrior of Light, Final Fantasy II‘s Firion, Final Fantasy III‘s Onion Knight, and Final Fantasy IV‘s Cecil Harvey. A noble warrior who fears no one and courageously faces any enemy. Warrior of Light, wielding his sword and shield, specializes in close to mid-range attacks. He is a passionate warrior that fights for a free world liberated from war and tyranny. With a wide range of arms, Firion has the ability to combine these weapons to perform strong combo attacks. Cecil calls upon the powers of light and dark. He is a mysterious man with expertise in both swordsmanship and aerial combat. Cecil is able to switch between ground fighting with both short range and long range battle styles or aerial combat paired with his agility. If you missed it, the previous character trailer introduced the non-playable Materia and Spiritus. Watch the trailers below. Additionally, view a new set of screenshots of Cain Highwind (Final Fantasy IV), Ramza (Final Fantasy Tactics), and Ace (Final Fantasy Type-0) at the gallery.